Culture Smart! UAE introduces you to the history and culture of the Emiratis, tells you what to embrace and what to avoid, and smooths your path toward full enjoyment of a fascinating experience. The United Arab Emirates, on the southeastern coast of the Arabian Gulf, is at once one of the most conservative societies in the world and one of the most forward-looking. Only a couple of generations ago it was a poor desert land, a confederation of tribal sheikhdoms on the periphery of the Arab world, subsisting on pearl-diving and fishing. It was a British protectorate until independence in 1971, after which seven of the sheikhdoms, or emirates, united to form a federation, the UAE. The discovery of oil in the 1950s transformed the country’s fortunes. New industries alongside oil and gas include banking, media, asset management, and tourism. Yet the UAE retains its moderate Islamic identity, and the rhythm of daily life is accompanied by the cadences of the muezzin’s calls to prayer, in the shade of the many mosques. Traveling to or living in the UAE is likely to involve moving beyond your cultural comfort zone, but do so and you will find a people whose embrace of modernity is exhilarating, and whose effort to combine the ancient and the modern is an intriguing example of globalization in action. Together with the legendary Arabic sense of hospitality and generosity, this makes the UAE an extremely rewarding place to visit. Culture Smart! 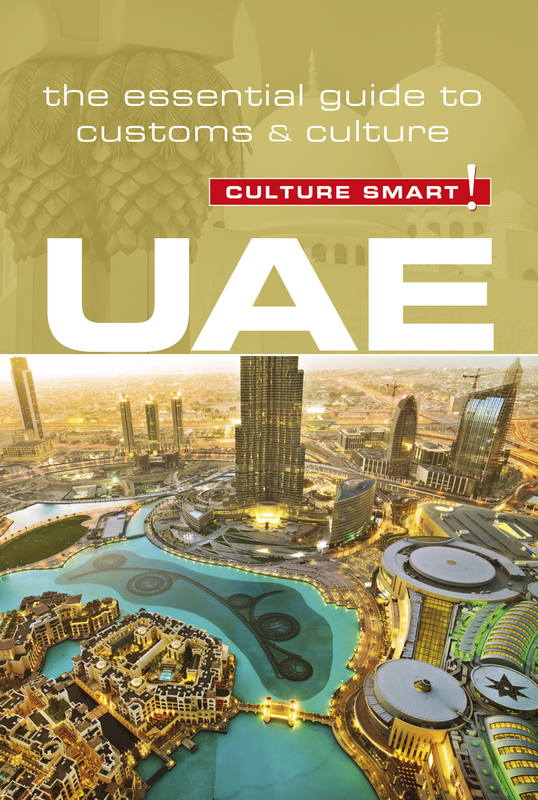 UAE aims to demystify culture and values of the Emiratis, opening up the reader up to a more enriched travel experience. Emirati hosts are generous and will encourage guests eat as much as possible. As such, in order to partake in a manner that would please the host, it is not a bad idea to skip a meal beforehand!